As a YFU student you can enjoy the best of outdoor activities in a society that places high value on globalism and personal growth. Hallo! Are you looking for the adventure of a lifetime? Norway may be just the place for you! With all sorts of natural wonders, like fjords, glaciers, mountains, islands and forests, nature plays a central role in Norwegian life. As a YFU student you can enjoy the best of outdoor activities in a society that will welcome you with open arms! Families may be small in Norway, but they are very important to the Norwegian way of life. Families often head for country cottages or cabins on weekends where they may enjoy skiing in the winter and a variety of outdoor activities during other seasons. The food in Norway comes from a long tradition of the Norwegian people as seafarers – so there will be lots of delicious fish! While you’re enjoying meals with friends, you won’t want to miss out on the Norwegian art and music scene! Norwegian movies, although not widespread outside the country, are not to be missed! You will definitely not be bored during your time in Norway – there is so much to do and see! So if an outdoorsy culture with an up and coming arts scene sounds like a good fit, then Norway is the place for you! Information about visas will be provided upon enrollment. Students will need to apply for a residence permit before coming to Norway. To learn more about the process, you can refer to the Norwegian Embassy website. Students are responsible for covering fees including school-sponsored activities, textbooks, and school supplies. Students may need monthly passes for public transportation and are responsible for their transportation costs to school. Program tuition does not include personal spending money. Norwegian schools expect a great deal of independence and responsibility from students. Courses offered in most areas of the country include Norwegian, mathematics, history, geography, philosophy, economics, religion, physical education, sciences, social studies, and languages. Spanish, French, and German language classes are usually offered and some schools may have Russian and Italian. Optional courses may include music, drama, dance, arts, sports, business and administration, and information technology. Because many schools in Norway use internet-based learning (meaning communication is almost exclusively online and students typically use laptops in class), students are recommended to bring a laptop if they own one. Schools will usually help students borrow or rent a laptop for an additional cost if they do not own one. All students applying for the semester or year program must be available for a mandatory 3-day National Pre-Departure Orientation, which usually takes place in mid-July. This orientation is a required part of the program aimed at preparing students for their experience overseas. All students will participate in a one-day local pre-departure orientation in May or June. 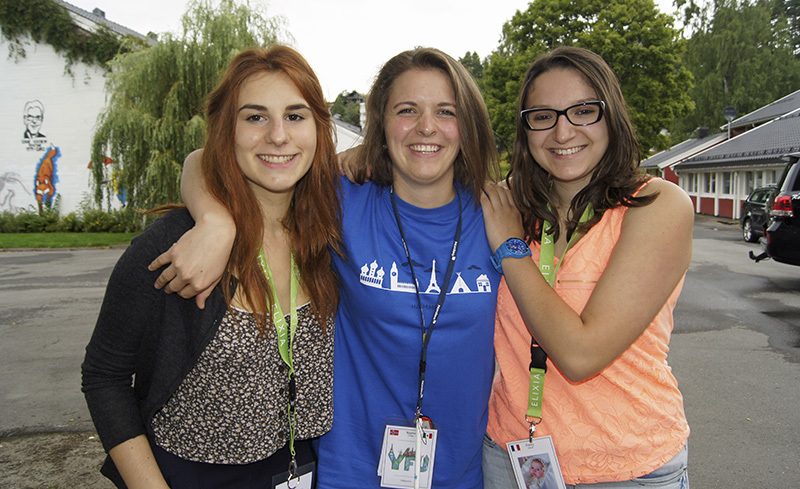 Upon arrival in Norway, all students will attend a 3 day orientation with other YFU students from around the world. Year students also attend a 3 day mid-year orientation, and all students attend a daylong re-entry orientation at the end of their program to reflect on their experiences. All orientation costs are included in program tuition. Norwegian schools generally don't offer after-school activities. However, there are plenty of music groups, clubs, and organizations to choose from in the community and most of your Norwegian friends will belong to some type of sports club. YFU exchange students are encouraged to get involved in their communities by joining any type of team, group, or club. January 1, 2001 - December 31, 2003. Students who do not meet this age requirement or will graduate from high school before the start of their program will not be considered for admission. Norwegian. Previous language study is not required. YFU Norway can assist students in finding a local course, which can cost around $600. Host families can be located all over the country in rural or suburban areas. Students are rarely placed in large urban centers.